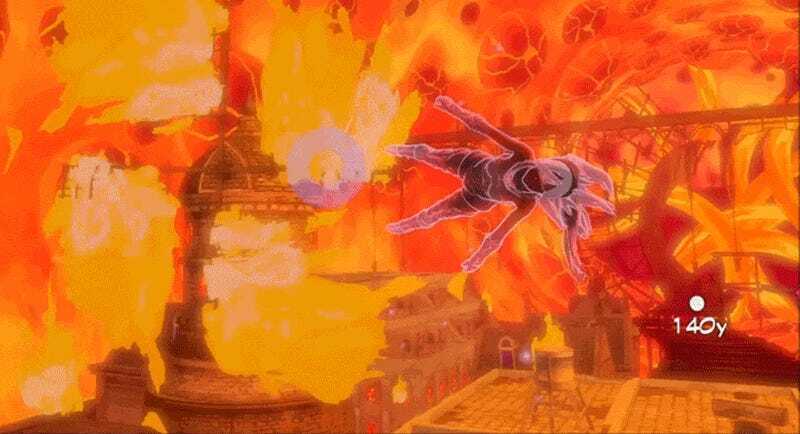 No one told me Gravity Rush has a flaming windmill: I was expecting Gravity Rush Remastered to be a game about flying, walking on walls and kicking enemies in mid-air. I was even expecting a cat. But this windmill? No wonder Kirk and Evan like the game so much. A good addition to my PS4.